Peaches are in abundance right now, we should continue to have them through the summer. Blackberries are in now,this will probably be our last weekend for them this year. 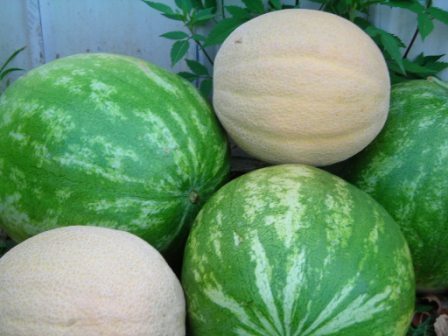 Watermelon and cantaloupes are ready… we will have them as well. Everyone keeps telling us how delicious they are, we concur. 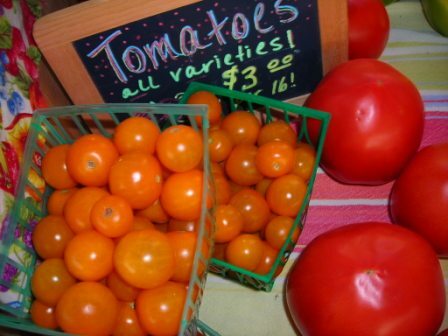 We are now producing enough fresh produce to start taking order for our “basket of the week”, which includes a little bit of everything available the current week. The “Weekly Basket” cost $25 and always includes fruit when available. If you are interested talk to me on Saturday or e-mail me and let me know.